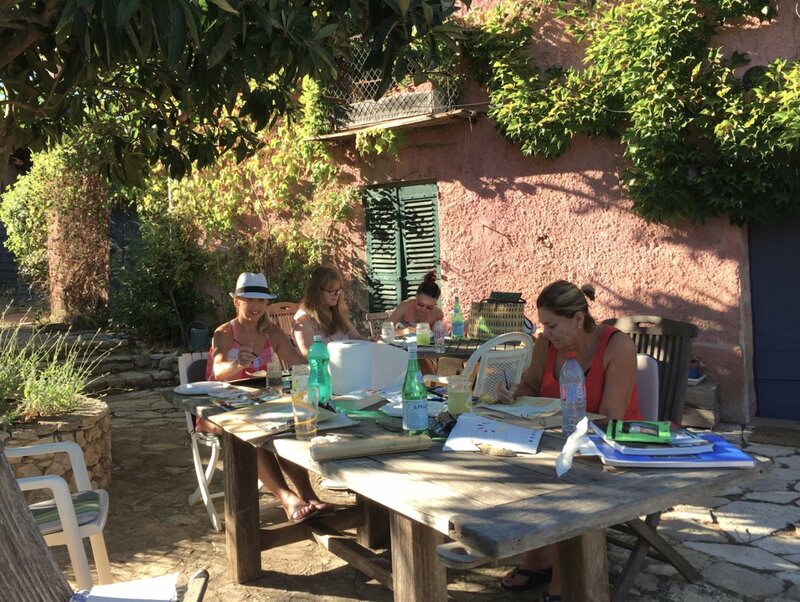 Paint Provence with Tess which offers painting holidays has been up and running for two years now! 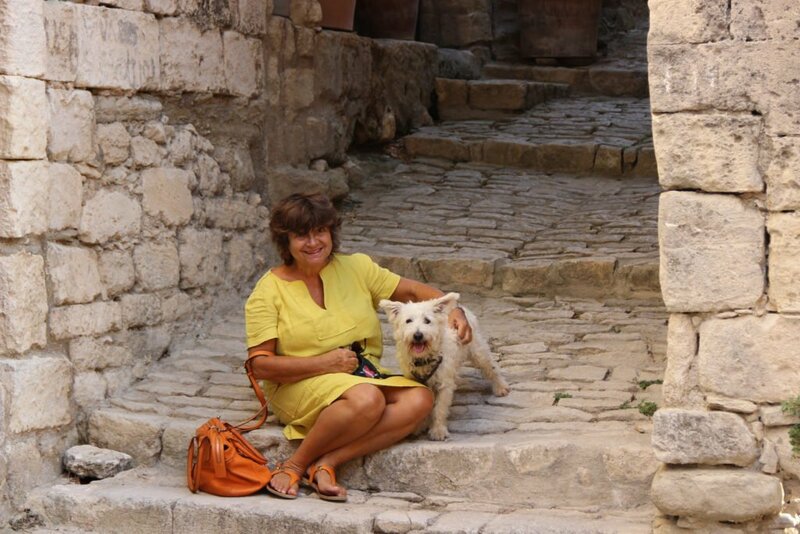 I have been painting professionally in Provence for nearly 30 years, and loving every moment of it! I have had many exhibitions here in Provence and also abroad. In 2014, I started teaching twice weekly art courses as a precursor to my dream of week long all inclusive art workshops. What a marvelous thing to do, I thought, and so I set about creating Paint Provence with Tess. As a result, I have now had four successful years with my painting holidays in Provence. Paint Provence with Tess in front of our rustic Provençal farm house How our painting holidays in Provence started. 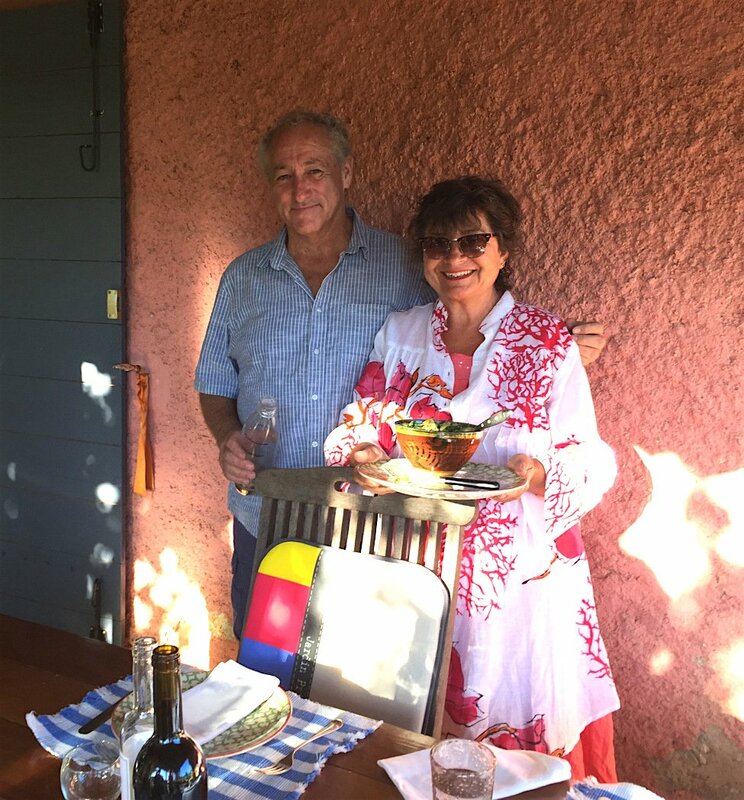 Paint Provence with Tess… How it began. In 2015, I was at my friend Kristi Espinasse’s house I talked to her how I would like to start Painting Holidays in Provence and showed her the draft of my so far unpublished website and she said ‘You have to do it Tess!’ So we finished working on the website together and it went live at her house in March 2015. Kristi then wrote about my trips on her website French Word a Day; before I knew it all my courses for 2015 were fully booked. Paint Provence with Tess was born and has been happily growing since. David, I Thomas our little dog our two cats and hopefully very soon some jolly hens live in or around our 300 year old farmhouse just outside Lorgues, nestled in the vineyards of Provence. Our home is just one hour’s drive from Nice airport and one hour from Toulon airport. Marseille airport is one and a half hours drive from us. Cannes is 50 minutes away and Aix-en-Provence just about an hour. Avignon is 2 hours away. The Gorges du Verdon, 45 minutes. We are 45 minutes from the sea and St Tropez and an hour from the mountains. Italy is only one hour and a half away. So I think we live in a pretty good place. Les Arcs-Draguignan train station is a few minutes drive away and the TGV from Paris comes straight to us. Not bad really for a little country getaway! Tessa and Thomas in Lacoste. I paint in this beautiful land: the land of Provence, of mountains and seascapes, of vineyards, poppies, lavender fields and the salt marshes of the Camargue where the pink flamingoes grace us with their brightly coloured presence. I want to share my joy and my craft with others, it gives me such enormous pleasure in showing my students and friends all the spectacular locations that I paint in. I keep my groups small and encourage each individual to get the best out of their talents. Everyone who has come on these trips love them! It is hardly surprising, considering the inspirational back-drops of the countryside and the stunning clear light of the sun, that hundreds of artists have come here to make it their home. Van Gogh, Matisse, Picasso, Cézanne to name but a few lived and painted here. Like the weather I am a seasonal painter. On the cooler days of the winter months you may find me in my studio and with the first breath of Spring you will find me painting ‘en plein air’ or indeed on a beautiful winters day! With May come the glorious red fields of poppies that stake their claim on the land. In June the purple of the lavender fields mingle sweetly with the delicate petals of the poppies. Humming bees in perpetual harmonious ecstasy fill the scented summer air. July and August bring the heat, the deep green of summer, the turquoise of the lakes, the vibrant dance of the dragonflies that court in the fresh mountain streams. Jolly boatmen cast delicate shadows as they tread softly on the water’s edge. There is so much inspiration here for my work as an artist. Vineyards glowing in the evening light of summer. Late September thrills me and fills me with awe and love, the ‘Season of mists and mellow fruitfulness’, the grapes plump and ready to pick, the figs begging to be made into burgundy-coloured jam. In the vineyards the flaming, blazing beautiful hues of autumn entrance me, implore and invite me to go and paint them. Who could resist such glorious temptation? We work with some wonderful chefs who produce some really delicious meals – be it breakfasts, picnic lunches or dinners – if we are lucky they might even bake a cake or two!